"Ellen's past life therapy has helped me tremendously. Her guidance has given me the strength and courage to free myself of an abusive and debilitating marriage. 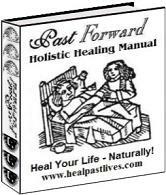 Her healing hands lifted chakra blockages that prevented me from taking positive action to heal my life. The chakra cleansing allowed me to view the people and situations in my life with clarity. In the year since her wonderful healing, I have established a new life with my children. And we are well on the way to living the joyous life that God has intended for us. I will always be grateful for her loving guidance. P. S. I think people are skeptical of spiritualists - there are so many scams out there - but I think people like yourself prove themselves early and once trust is gained, word of mouth will be your greatest asset."